Gone are the days when entrepreneurs did not have it as easy if they wanted to start their own business, no matter how good an idea they harboured. Flashforward to 2018, every time you Google on starting an own business, you will be amazed at the results it yields in a click. 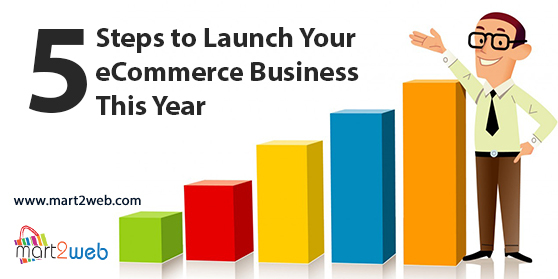 What with advancements in every sphere, starting a business isn’t as difficult as it once was and the same holds true if you want to launch an eCommerce business by yourself. Its all in the product – So, you have decided to launch your own eCommerce store. While you may talk to industry experts, pore over books, research the internet and have tons of ideas, it all comes down to what is it that you are going to sell. In short, your product. While most of us like to follow the tried and test business idea, 2018 is the year to think out of the box. There are many niche and yet unexplored areas that you could consider. At the end of the day customer loyalty and positive reviews are what your eCommerce store needs, and they are so much easier when your product will speak for itself. Getting financed – One of the biggest worries that bothers every eCommerce owner is whether they have financial resources to invest in their said business. Well, fret not, a lot of eCommerce giants such as eBay and Amazon are moving into small business financing. Certain financial institutions are also planning on schemes where instead of paying monthly, the financing institution would stake a cut of any sale, no matter how well or not your eCommerce business performs. Lesser worries on inventory and logistics – Another aspect that eCommerce business owners need to prime themselves on is engaging with a logistics provider. As with the everything else, today third – party logistics providers store your inventory within their warehouses, connect with trusted and economical shipping carriers and ensure a better shipping and delivery. In tune with technological revolution – One of the key factors that you need to keep in mind as you launch your store this year, is embracing the new technologies and leveraging them for your eCommerce venture. Artificial intelligence, augmented reality, iOT, cloud technology and many more will have a huge impact and transform the way businesses are being conducted. So why not jumpstart this transformation and stay ahead of the game. Say it with a software – Nothing can define the success of your eCommerce business better than partnering with a good eCommerce software. As you enter 2018, let one of your primary goals for launching your online store be to ensure that you have the right software to help you along the way. Among all the eCommerce software companies in India, Mart2Web is the complete solution for all your eCommerce needs. In fact, creating an online store could never be any simpler. Mart2Web is a leading eCommerce software provider developed by Sankalp Solutions. The entire preface around which Mart2Web works is based on a technology which makes curating your eCommerce store not only simple and straightforward but also flawless and functional, all in a short span of time. Mart2Web offers its clients an entire range of templates, which can be further customized and are mobile responsive. Along with these design features, there are the product management features which give your eCommerce store the ‘real look’, which customers these days seek in an eCommerce store. Further there are many other features such marketing, which ensure that your online store gets the edge in the competitive scenario, with the strong SEO techniques and Social media optimization methods. Mart2Web is a software that unites all the diverse elements of an eCommerce store, such as the payment integrations, shipping, customer service etc, with all the finesse making it a best eCommerce software. The opportunities are innumerable, it is for you to understand the demands of the time and play to your strengths. If you have a interesting product that people want, tap into some path breaking and original ideas on how to make your eCommerce business stand out and have the solidarity of an eCommerce software then you are all set to rock the online world.